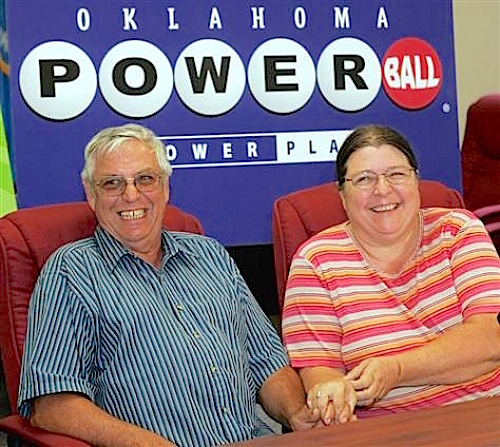 What's The One Common Trait You Notice About These Lottery Winners? I've just finished watching a tv program on lottery winners. Most were from the USA, one was from Britain. And as I watched, I noticed an important character trait in all the winners. These were people with a large car collection, real estate investments, charity givers... even a couple of guys who went back to work to keep their hand in the real world. And these weren't large winners by any means. One win was a mere $95,000. The rest were in the $2-6 million range. A group won $92 million, but that was spread among them. But these winners all shared a universal trait, I noticed. Beaming, smiling faces - all of them, right through the program. Now, for all I know, the producers could have specified that only happy people were to be filmed. But I doubt it. The half-dozen winners I saw were happy beyond reason - even though some of them had won their moneypile a few years back. Don't get swayed by the opinions of others when they tell you that money makes you miserable. It doesn't. Or, as actress Bo Derek (above) said: "Whoever said money can't buy happiness simply didn't know where to go shopping." All these winners talked about how their winnings gave them the freedom to make choices. Money was a tool to gain freedom for them. That's what it does. It's getting closer to Saturday and your lottery game will soon be drawn. Are you prepared? Have you bought the right lottery system to accelerate your winning? Your lottery system is a great success with me. Last week I won $21,060 and some change :) The best part was that I have never won anything in my life before this, and have wasted thousands on other useless programs.